My site had a little bit of down time this morning. I do apologize for any inconvenience that may of caused. Now that we’re back up and running let’s get on with today’s photo review. I’ve always said some of the best shots are also the simplest. This red Iceland poppy flower is no exception. The depth of field is stunning and the simplistic view the of the flower itself is just magnificent. The composition of this work is well placed. The color tones appear to be accurate and the placement of the subject is good. All in all this is a pleasing photo and while the angle and technical aspects are good the shot itself is calling for something else. I just can’t quite place my finger on what it is. If I were to rate this photograph I would have to rate it a three out of five. The reason for this is while it’s a good photograph it just lacks something to make it truly unique. The depth of field of great, and the focus is wonderful, however this shot did not call to me as much as it could. The description of the photograph is lacking in many ways, thus it is hard to determine what the photographers goal was with this shot. Sometimes we get so lost in what we’re doing that we lose focus on the bigger picture. To truly tell a story with your work you must feel and see that story yourself. In my opinion, in order to truly create an emotional piece you must embrace that emotion throughout the entire process, from taking the shot to developing your final product. The second part of creating an emotional work is the right person has to see it. If a person has a tie to a red Iceland poppy than they will feel the emotion regardless. It is a challenge to bring all the aspects in perfect alignment to create that awe inspiring work that we all strive to create. Like always this is solely my opinion and is not meant to undermine the work of the photographer who brought us this great shot. 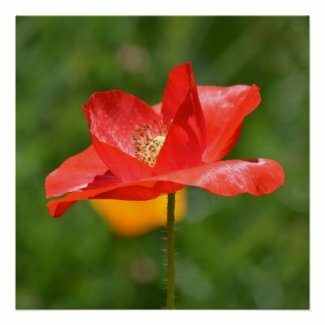 This entry was posted in Flora, Photography, Review and tagged flower, iceland, joacreations, photo, poppy, red, review. Bookmark the permalink. Thanks for the article on my flower photo! It was my pleasure to focus on your flower. I enjoyed your shot as I do all photography. I wish only the best for you and your future.